First time visitor? 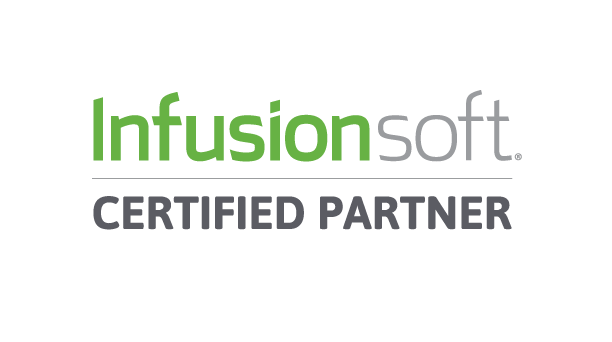 Then start here and learn more about infusionsoft! Thank you for choosing to be part of our community at Small Business Support. We are committed to protecting your personal information and your right to privacy. If you have any questions or concerns about our policy, or our practices with regards to your personal information, please contact us. We collect personal information that you voluntarily provide to us when registering at the Sites or Apps, expressing an interest in obtaining information about us or our products and services, when participating in activities on the Sites (such as posting messages in our online forums or entering competitions, contests or giveaways) or otherwise contacting us. We automatically collect certain information when you visit, use or navigate the Sites. This information does not reveal your specific identity (like your name or contact information) but may include device and usage information, such as your IP address, browser and device characteristics, operating system, language preferences, referring URLs, device name, country, location, information about how and when you use our Site and other technical information. This information is primarily needed to maintain the security and operation of our Sites, and for our internal analytics and reporting purposes. In Short: We may collect information regarding your geo-location, mobile device, push notifications, and Facebook permissions when you use our apps. We use personal information collected via our Sites for a variety of business purposes described below. We process your personal information for these purposes in reliance on our legitimate business interests , in order to enter into or perform a contract with you , with your consent , and/or for compliance with our legal obligations . We indicate the specific processing grounds we rely on next to each purpose listed below. To facilitate account creation and logon process with your Consent. If you choose to link your account with us to a third party account *(such as your Google or Facebook account), we use the information you allowed us to collect from those third parties to facilitate account creation and logon process. See the section below headed “Social Logins” for further information. To send you marketing and promotional communications for Business Purposes and/or with your Consent. We and/or our third party marketing partners may use the personal information you send to us for our marketing purposes, if this is in accordance with your marketing preferences. You can opt-out of our marketing emails at any time (see the “Your Privacy Rights” below). To send administrative information to you for Business Purposes, Legal Reasons and/or possibly Contractual. We may use your personal information to send you product, service and new feature information and/or information about changes to our terms, conditions, and policies. To post testimonials with your Consent. We post testimonials on our Sites that may contain personal information. Prior to posting a testimonial, we will obtain your consent to use your name and testimonial. If you wish to update, or delete your testimonial, please contact us and be sure to include your name, testimonial location, and contact information. Deliver targeted advertising to you [for our Business Purposes and/or with your Consent]. We may use your information to develop and display content and advertising (and work with third parties who do so) tailored to your interests and/or location and to measure its effectiveness. Administer prize draws and competitions [for our Business Purposes and/or with your Consent]. We may use your information to administer prize draws and competitions when you elect to participate in competitions. Request Feedback [for our Business Purposes and/or with your Consent]. We may use your information to request feedback and to contact you about your use of our Sites. To protect our Sites [for Business Purposes and/or Legal Reasons]. We may use your information as part of our efforts to keep our Sites safe and secure (for example, for fraud monitoring and prevention). To enable user-to-user communications [with your consent]. We may use your information in order to enable user-to-user communications with each user’s consent. To enforce our terms, conditions and policies [for Business Purposes, Legal Reasons and/or possibly Contractual]. To respond to legal requests and prevent harm [for Legal Reasons]. If we receive a subpoena or other legal request, we may need to inspect the data we hold to determine how to respond. Vendors, Consultants and Other Third-Party Service Providers. We may share your data with third party vendors, service providers, contractors or agents who perform services for us or on our behalf and require access to such information to do that work. Examples include: payment processing, data analysis, email delivery, hosting services, customer service and marketing efforts. We may allow selected third parties to use tracking technology on the Sites, which will enable them to collect data about how you interact with the Sites over time. This information may be used to, among other things, analyze and track data, determine the popularity of certain content and better understand online activity. Unless described in this Policy, we do not share, sell, rent or trade any of your information with third parties for their promotional purposes. Third-Party Advertisers. We may use third-party advertising companies to serve ads when you visit the Sites. These companies may use information about your visits to our Website and other websites that are contained in web cookies and other tracking technologies in order to provide advertisements about goods and services of interest to you. Other Users. When you share personal information (for example, by posting comments, contributions or other content to the Sites) or otherwise interact with public areas of the Site or App, such personal information may be viewed by all users and may be publicly distributed outside the Site and our App in perpetuity. If you interact with other users of our Sites and register through a social network (such as Facebook), your contacts on the social network will see your name, profile photo, and descriptions of your activity. Similarly, other users will be able to view descriptions of your activity, communicate with you within our Sites, and view your profile. For a full list of what we use information for, please see the previous sections titled “Use of Your Information” and “Disclosure of Your Information.” You agree to allow us to obtain or cache your location. You may revoke your consent at anytime. We use information about location in conjunction with data from other data providers. The Maps APIs that we use store and access cookies and other information on your devices. If you are a user currently in the European Union, please take a look at our EU User Consent Policy. Our servers are located in Amazon Web Services servers in the United States. If you are accessing our Sites from outside the United States, please be aware that your information may be transferred to, stored, and processed by us in our facilities and by those third parties with whom we may share your personal information. We do not knowingly solicit data from or market to children under 18 years of age. By using the Sites, you represent that you are at least 18 or that you are the parent or guardian of such a minor and consent to such minor dependent’s use of the Site and App. If we learn that personal information from users less than 18 years of age has been collected, we will deactivate the account and take reasonable measures to promptly delete such data from our records. If you become aware of any data we have collected from children under age 18, please contact us. In some regions (like the European Economic Area), you have certain rights under applicable data protection laws. These may include the right (i) to request access and obtain a copy of your personal information, (ii) to request rectification or erasure; (iii) to restrict the processing of your personal information; and (iv) if applicable, to data portability. In certain circumstances, you may also have the right to object to the processing of your personal information. To make such a request, please use the contact details provided below. We will consider and act upon any request in accordance with applicable data protection laws. Cookies and similar technologies: Most Web browsers are set to accept cookies by default. If you prefer, you can usually choose to set your browser to remove cookies and to reject cookies. If you choose to remove cookies or reject cookies, this could affect certain features or services of our Sites. To opt-out of interest-based advertising by advertisers on our Site visit www.aboutads.info/choices/. Noting your preferences at the time you register your account with the Sites. If you are under 18 years of age, reside in California, and have a registered account with the Sites, you have the right to request removal of unwanted data that you publicly post on the Sites. To request removal of such data, please contact us using the contact information provided below, and include the email address associated with your account and a statement that you reside in California. We will make sure the data is not publicly displayed on the Sites, but please be aware that the data may not be completely or comprehensively removed from our systems. Small Business Support is a part of Clear Again Media.